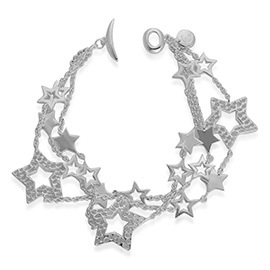 Celebrated UK jewelry designer Rachel Galley is known for her stunning jewelry designs in the best quality silver. Her modern yet timeless designs can frequently be found on Europe's hottest fashion runways. 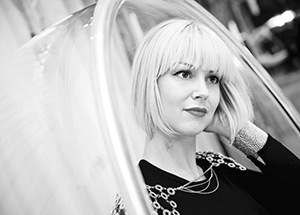 Rachel Galley Jewellery Design is on the forefront of fashion. Founder and designer Rachel Galley's aim is to design beautiful and timeless pieces of jewelry while making sure that each piece from the smallest earrings to the largest cuff has that essential 'wow' factor. Galley has an astonishing aptitude for creating stunning designs. Her collection of elegant and stylish designs draws inspiration from nature architecture culture and history. While her fun designs capture attention on the catwalk they are also perfect for everyday occasions. Her signature lattice work design lets the jewelry reflect light and display a remarkable diamond-like sparkle. Walpole British Luxury a nonprofit organization that promotes luxury exports from the UK said Galley's work possesses all the qualities associated with luxury cutting edge design, quality, craftsmanship and originality. Galley's jewelry designs have been featured in several fashion magazines including Marie Claire InStyle Magazine and Elle. She draws a lot of her inspiration from nature architecture culture and even emotional based influences. Her stylishly versatile designs have been worn for both the European catwalk and for everyday occasions. Galley's Memento Collection features her signature latticework design which causes the jewelry to reflect light in a way that displays a remarkable diamond-like sparkle.